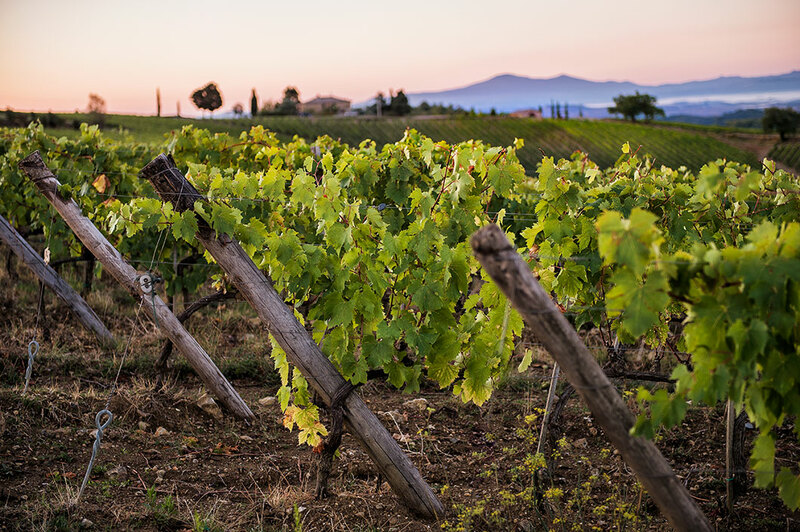 Aware of the great potential of the Brolio terroir, Francesco Ricasoli was the first to implement zoning of the lands cultivated as vineyards in the Chianti Classico area. His intention was to learn more about the specific nuances of the viticulture of this unique and remarkable property and then to use this information for improved production. A greater level of excellence in the company’s agronomic and enological choices led to modern and sustainable precision in viticulture. Integrating old studies with new ones, a project of clonal selection ensued and was aimed at conserving the most inte- resting biotypes of the Sangiovese present at Brolio. These clones are unique to Brolio and listed in the National Grape Registry of the Ministry of Agricultu- ral, Food and Forestry Policies of Italy and have been used to create the most recent vineyards. … because it’s the birthplace of that modern wine that reinvented itself in the 19th century. The company is located in one of the most pure and least contaminated places in Tuscany. Over the centuries, this area was nearly inaccessible due to its stony ground and thick, compact woods. It became habitable thanks to all those who cultivated beauty, balance, and harmony. In a context like this, it has not been difficult for the company to choose nature-friendly viticulture. We are not certified organic, but we make extra effort to employ agronomic tech- niques with low environmental impact. Research and applied technologies have allowed us to respect the territory fully while producing quality wines. In this way, we interpret and practice the concept of sustainability and consider it a point of pride. Ricasoli has always been aware of its role as a protagonist in the Chianti Classico area and is focused on conserving the territory and making it useable for local inhabitants and visitors alike. The ongoing efforts of the company can be seen in the reconstruction of the estate farmhouses, the maintenance of the old estate roads and of their dry-stone walls, and much more. The three pillars of sustainability (social, environmental, and economic) are therefore all respected and the wines produced reflect the company vision and the magnificent terroir in which they are produced. Each wine we produce has a very independent personality, though all are produced in the same territory. The credit lies in the multifaceted soils, altitudes and microclimates that allow us to bring out the true nature of the Brolio Terroir. Ricasoli’s vineyards are all on hills, with altitudes ranging from 220 to 500 meters above sea level, mostly with a south, southwest exposure. The climate is Mediterranean, with concentrated rainfall in spring and autumn (about 32 inches per year), mild winters with rare snowfalls, and hot, dry summers. 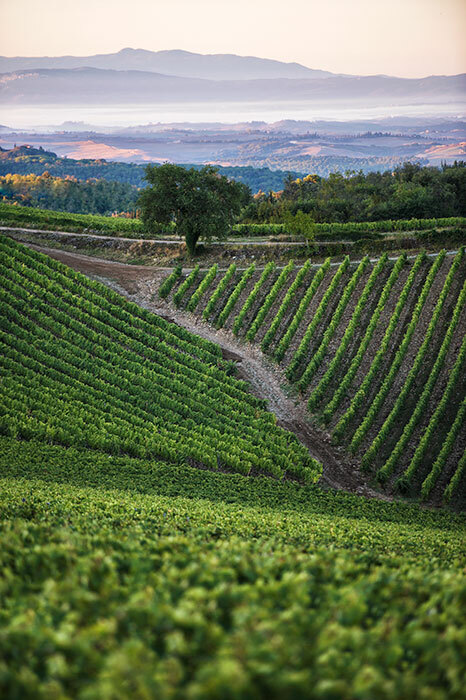 Sangiovese is the reigning variety; here it finds an ideal environment where it can develop all its natural potential. Attention to the terroir guides choices at Ricasoli, such as the most suitable variety to plant; the most appropriate rootstock; correct row orientation; and best agronomic practices. The main aim of this zonation project was to master the essential assets of the estate and land in an effort to orient both agronomic and enological choices towards best management practices to exalt modern precision in viticulture and sustainability. The zoning research that Francesco Ricasoli implemented, identified nineteen different soil types at Brolio, indicating the varied soil composition found in much of the Chianti Classico area. The wide variety typical of the Brolio vineyards is evident even to the naked eye. Wine vinified plot-by-plot has allowed us to identify areas with particular qualities and potentials and from this, wines of structure and distinctive flavor are produced. Some Crus of exceptional quality have been produced in thanks to the company’s propensity for the Cru concept. Limestone, commonly called Alberese. Calcareous clay soil, rocky, rich in calcium carbonate and clay and poor in organic matter. The altitude ranges from 350 to 390 meters above sea level, southeast, southern, western exposure. Vines: predominantly Sangiovese, Cabernet Sauvignon, and Merlot; vine-density is 6,600 plants per hectare. Wines: excellent structure, body, and persistence, with soft and sweet tannins. The area is ideal for Sangiovese, and includes the Colledilà vineyard. Pliocene marine sediments, with sandy deposits and rocks smoothed by the action of the sea, and clay at deeper levels. Good levels of organic matter. Altitudes in this area range from 300 to 350 meters above sea level, variable exposure, vine-density from 5,500 to 6,600 plants per hectare. Vines: predominantly Sangiovese. Wines produced from these soils are fresh, with spicy notes, elegant acidity and distinct minerality. Fluvial-lacustrine deposits formed in the Pliocene-Pleistocene period. The deposits are silty, poorly structured, with clay. The altitude varies between 260 to 300 meters above sea level, southern exposure. Vines: Sangiovese and Cabernet Sauvignon, vine-density from 5,500 to 6,600 plants per hectare. Wines with a complex range of aromas, well-structured, high tannin content, body, and persistence. Soil commonly called Arenarie, composed by sands and rocks, well drained and furnished with little organic matter. High elevations ranging from 400 to 500 meters above sea level and variable exposure, vine-density from 5,500 to 6,600 plants per hectare. Vines: Sangiovese, Merlot, Chardonnay. The soils yield complex and well-structured wines. This area is especially well suited to viticulture and includes part of the Casalferro vineyard. Also called Brolio’s argillite or Galestro (schist-based soil). The soils are very thin and the geological formations found in this area are the Scaglia Toscana and the Macigno del Chianti Formation. The altitude ranges from 400 to 500 meters above sea level, vineyard exposure to the west, northwest, and south; vine- density from 5,500 to 6,600 plants per hectare. Vines: Sangiovese. Wine with high tannin content, complex structure, and intense minerality. 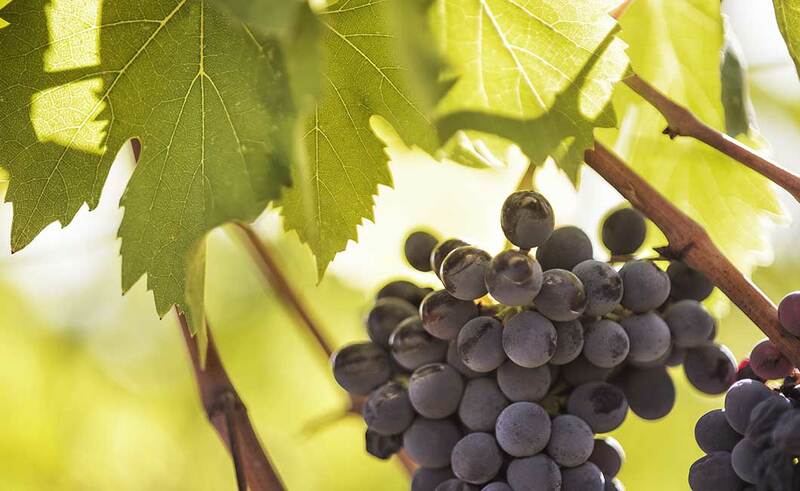 Besides an incredible array of Sangiovese grapes, for centuries countless grapevines that today we refer to as “nonnative” varieties have been studied and grown in Brolio. These include Merlot, Chardonnay, Cabernet Sauvignon and many others. These are the matrix of the DNA of Ricasoli wines. The main variety is Sangiovese, which grows perfectly in the lands of Brolio.